Traditionally, adjustment of playback azimuth, frequency response, and level has been achieved using expensive alignment tapes. These tapes, such as the MRL Multifrequency Calibration Tape, contain a series of tones of varying frequencies, separated by voice announcements. While AP’s 2700 Series instruments are able to ignore the voice and plot the frequencies automatically, it is still a time consuming process to play the entire tape, and typically sections must be replayed as adjustments are made. Although the standard reference tapes are precisely recorded, their precision starts to deteriorate from the first time they are used. Factors such as magnetization, stretch, surface wear, edge damage, and self-erasure from bending over guides cause changes in the level and stability of the recorded tones, especially at the higher frequencies. Although a typical regimen may specify replacing the tape after 30 or so plays, the actual rate of deterioration depends on the condition of the decks it is played on, and the only way to measure this is to periodically compare it to yet another reference tape that is kept for that purpose. Multitone signals contains many tones at once, and can be generated and analyzed using the APx500 Multitone measurement. For tape alignment, the standard “APx 32-tone” signal (1/3 octave intervals) works well. Although no standard reference tape with multitone may be purchased, you can make your own using a tape deck in excellent condition after it has had playback precisely aligned with the reference tape, followed by record alignment with multitone. 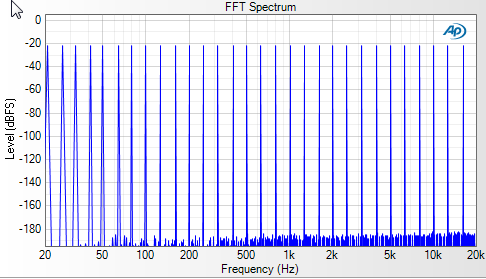 For tapes running at 7.5 ips, the multitone recording should be made at 10 dB below reference fluxivity to avoid the possibility of high frequency saturation. Fig 1 Multitone stimulus signal, comprised of 32 individual tones. 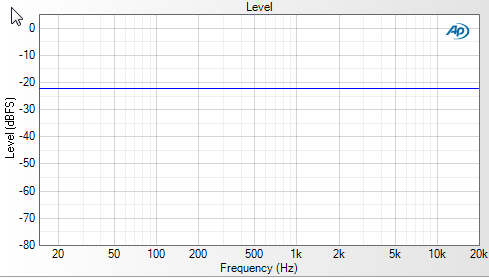 Fig 2 Frequency response graph using the multitone stimulus. A complete playback azimuth and equalization alignment can be done in less than a minute, vs 10 minutes or longer using a standard test tape (for two tracks). You can set azimuth more accurately (multitone essentially contains coarse, fine, and “superfine” azimuth tones simultaneously), and false peaks are not possible. The APx Multitone measurement’s “Relative Level” result keeps 1 kHz normalized to zero dB as you adjust the high frequency equalization. Using a traditional alignment tape, it is often necessary to shuttle back and forth between the 10 kHz and 1 kHz tones (causing excessive wear and level drop in the 10 kHz portion), as more than a slight adjustment of high EQ causes a shift in level at 1 kHz as well. You can check response and azimuth at the head, middle, and end of a reel, which will reveal tension and head wear issues. You can’t easily detect these issues with a standard reference tape, because the tones exist in only one place each. Low frequency playback response can be accurately adjusted during playback (instead of record), due to the lack of the “fringing” effect of full-track test tapes (excessive low frequency response caused by the head reading the tape area outside the gap). You can get a far more detailed view of response than with the octave-spaced tones on the standard tape. The close spacing of low frequency tones also gives a much more complete picture of head “bumps” (large variations in low frequency response due to head geometry), making it easier to achieve the best low frequency compromise adjustment. Using the APx585 or 586 analyzer, you can use multitone to adjust up to 8 or 16 tracks at once. Note that we haven’t completely eliminated the need to own a first generation standard reference tape. It’s still the reference standard that we base everything on. But by using it only on rare occasions to prepare our multitone tapes, we keep it accurate at the same time that we improve the speed and accuracy of our routine deck alignment. The second generation multitone tapes, if made very carefully, will be much more accurate in routine alignment service than a worn first generation reference tape, as they can affordably be discarded and replaced after just a few or even one usage. You can, in fact, record an entire reel of multitone, but use caution here: you need to monitor playback response the entire time, because unless the deck is in excellent mechanical condition, the heads stay spotlessly clean, and bias is absolutely stable, high frequency response and azimuth position may not remain consistent from the beginning to the end of the reel. 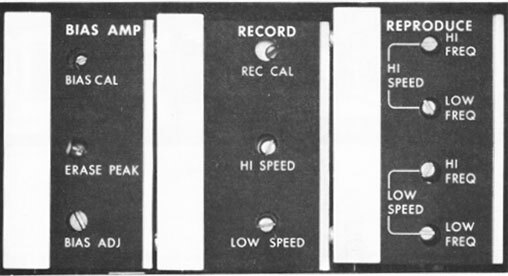 Fig 3 Record and playback adjustments on an Ampex 440 analog tape deck. After playback alignment has been done using the multitone tape, it’s time for record alignment. The first step is normally to “overbias” the recorder—record a tone, usually 10 kHz, and then increase the record bias until the playback level peaks and then drops by a specified amount. The amount depends on the tape type and the head gap length, and is specified by the tape manufacturer. Once bias is set, the multitone signal from the APx analyzer is used to adjust record azimuth and record equalization. You can further optimize record bias by simultaneously viewing the Level, TD+N, and Noise results of the Multitone measurement (undock all but one of them). In this way, you can monitor record level, frequency response, TD+N, and noise while you adjust the bias. Usually bias is set at the point of lowest distortion, but since changing bias also affects sensitivity, high frequency response, modulation noise, and saturation (overload) level, sometimes the best adjustment is a balance of factors. The APx Wow and Flutter Measurement Utility lets you precisely measure wow and flutter on an APx analyzer without requiring any additional hardware. If you have a high quality studio tape deck, you may find that its wow and flutter is lower than the residual on a standard speed reference tape. In this case, you’ll get best results by recording a 3 kHz reference tone and then measuring wow and flutter while playing back the tape. 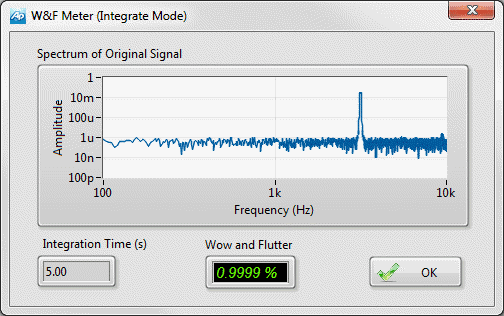 Fig 4 The APx Wow & Flutter Measurement Utility. With the new APx Wow & Flutter and Repeat Measurement utilities complementing its extensive multitone and FFT capabilities, a single APx500 analyzer can now serve the maintenance needs of studios and archives with both vintage analog and the latest digital gear. Enables an APx500 audio analyzer to measure wow and flutter, according to standard “AES 6-2008—Method for Measurement of Weighted Peak Flutter of Sound Recording and Reproducing Equipment” (IEC 60386 Weighted). Includes an FFT of the demodulated waveform, as well as an unweighting option. This entry was posted in Measurements, Technical Library and tagged 2700, 2700 series, APx515, APx52x, APx52x Series, APx58x, APx58x Series, ATS-2, Series 2700, System Two by Milo. Bookmark the permalink.